It is taken from my new pamphlet ‘£5 for this love’ which is being published by Paper Swans Press later this year! I’d love to know what you think of the poem – please feel free to leave a comment! This entry was tagged Poetry, writing poetry. Bookmark the permalink. 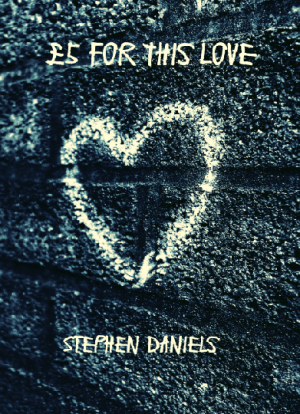 Stephen, this is so good; your writing is gorgeous!!! I knew I would have so much to learn from you.